Home / Other Political News, Politics / Major blow to RAILA ODINGA as ODM senator calls him a fraud for accepting HUDUMA NAMBA registration – I disagree with you! Major blow to RAILA ODINGA as ODM senator calls him a fraud for accepting HUDUMA NAMBA registration – I disagree with you! Wednesday April 3, 2019-A vocal Orange Democratic Movement (ODM) Senator has castigated his party boss, Raila Odinga for launching Huduma Namba in Mombasa County. On Tuesday, Raila was the chief guest during Huduma Namba launch in Mombasa County. The exercise was initiated by President Uhuru Kenyatta who was in Machakos County leading the registration. 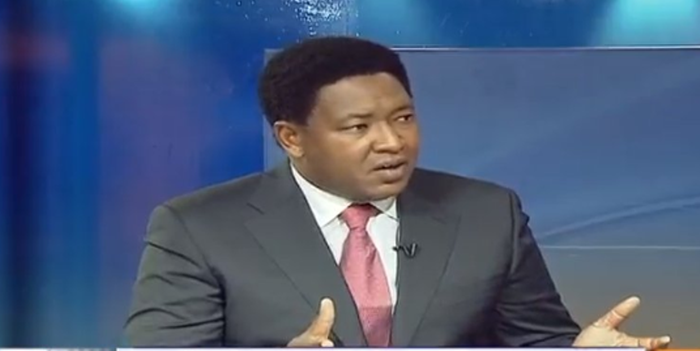 However appearing on Citizen TV on Tuesday evening Narok Senator Ledama Ole Kina opposed the Huduma Namba saying it was unconstitutional. Ole Kina termed Huduma Namba as an illegality after the Senate was not involved in scrutinising and approving it. "I don't support it and I will not because it was done illegally. The intention could be good, but the process was wrong as it was never presented to the Senate for approval," he said. The senator said though he supports Raila 100 per cent, he will not shy away from opposing what he feels is being done wrong. He added that the same applies to President Uhuru who is currently working closely with the former Prime Minister after their March 2018 truce. "I completely support Raila but not on this one. I will also always be around to fault the President and tell him he is wrong whenever he is,” he said.